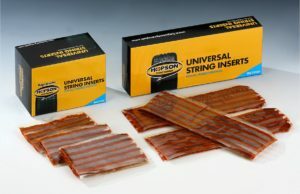 Universal Repair String is a fast repair solution but is an emergency and temporary puncture repair seal only. 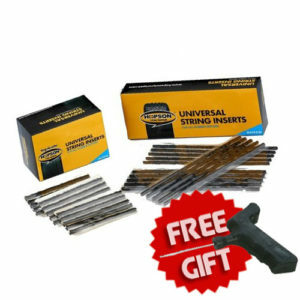 Repair string is an ideal solution for tyres with small punctures and for vehicles such as ATV’s, golf carts and lawn mowers and on radial and bias tyres only. 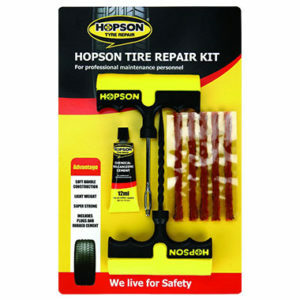 The Tyre String Repair Kit contains everything you need to make a temporary tyre repair. 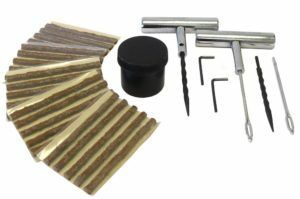 The tyre string repair kit includes T-handle hand rasp tool, T-handle insert tool, Thick brown repair strings, tyre lube and Allen Keys. 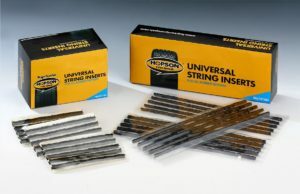 Please note: Repair string is not to be used for passenger vehicle repairs. We also strongly recommend that the tyre be demounted and inspected as soon as possible and be replaced with a more permanent puncture repair solution such as a patch or patch plug. Is it time for an upgrade or replacement of your Tyre Changing or Wheel Balancing machines? Take a look at the machines we offer, from the economy Redback brand, renowned Atlas equipment range and premium brand Atlas Platinum.